Anita is one of Ireland’s most accomplished caricature artists. 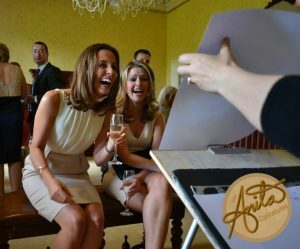 With almost 20 years experience Anita is recognised as one of Ireland’s leading caricature artists. Anita has been commissioned by some of Ireland’s best known celebrities and sports personalities. When you order a caricature from Anita Caricatures you are guaranteed top quality. 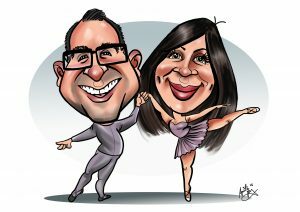 Email a photo of a loved one, work colleague or just yourself and have an amazing caricature delivered to you. Impress your guests with caricatures drawn live at your event or special occasion. A sure way to keep you guests entertained while giving them something they can take away to remember the day.